I just don’t think about it. It just doesn’t come to my consciousness. I come down into the world and handle all the things that go on in my life, even as a spiritual teacher I have many mundane details like all of you and I get immersed in them and literally forget who I am. I forget that I am this self-existent, eternal, universal consciousness. It’s remarkable to me but it’s not distressing at all. It’s interesting how total it is when I’m in it. So I know for most of you this is your normal condition. To be in the “stuff” of life…the worry, the problem, the anxiety, those irreconcilable problems that you just learn to live with and accept. Changing what we can, accepting what we can’t. So there’s this complete immersion that goes on. So if it’s difficult for me to remember I’m in human consciousness, how much more difficult it would be for someone who hasn’t realized themselves as the universal consciousness? However, I should talk more about what this is, by what I mean by universal consciousness. So in the evolution of consciousness, we’re basically all involved in a process of expansion. We move out of our smallness into the next larger possibility. We open ourselves up to the world around us, to our parents, to our siblings, to our friends, to the immediate neighborhood, our backyard, our sandbox, whatever it is as children. And when we expand, when we go to school, when we become part of something larger than ourselves. When we’re participating with that, having a sense of both geological expansion and also relational, experiential expansion. In the process of this expansion, we gather new information, we gather experiences, we gather knowledge. That’s the nature of consciousness. Consciousness is the knower and the experiencer and what it’s doing is it’s trying to know more and to experience more. The embedded consciousness that’s emerging from unconsciouness is engaged as the whole universe is in the process of expanding itself, to know more, to experience more. So when we grow into adolescence and into our young adulthood, I see that we then come to some area where we’re no longer comfortable in the expansion; that we kind of consolidate. We form a relationship, an orientation to the world that becomes less fluid, less open, less flexible as when we were children, at least in a normal child’s upbringing. Even then we inevitably encounter the rude shocks and requirements of life. Sometimes if there’s ambition and desire and capacity, we expand ourselves in the world; we gain skills and abilities that expose us to wider and wider arenas. I can remember my life, how exciting it was when I got involved in the renewable energy work and the Union of Concerned Scientists partnered with me to become a representative for them with the State Legislature and I was encountering lots of different people that I would not normally meet. I had broken out of my smaller world as an architect and I was being invited to national conferences and being asked to speak and being offered positions and opportunities. There was this sense I was expanding and growing and life was very alive, very engaging. Little things about my comfort and about my preferences were no longer dominating my attention and I was really quite excited when I would wake up in the morning and this went on for some months. Maybe even longer than that. And when my awakening came, all of that just shifted and I realized that this expansion that was occurring in me in that stage of my life which was just before my awakening was a heralding outwardly of what was happening inwardly. That my individuality had now expanded to include so much more of the world than it had before and that “opening”orientation, that readiness for the next thing to show up is what thrust me outside of this dimension into this other domain where in essence, the expansion was complete, [where] the fullness of the experiencing and the knowing was reached. And although it was at first momentary, it was essentially the state. All this came to me this morning because as I began playing with expanding up into my vastness and my completeness and then coming back into this lower energy field and then rising back up again, there was this recognition of how everything in the human life that seems worthwhile is actually a part of this expanding process. This stepping out of what we know and stepping into what we don’t yet know. It’s standing on the edge of a possibility that has not yet actualized and what a thrilling experience it is. And I was saying to myself, “Why isn’t that there when I’m in the universal state?” But I recognized that I couldn’t say it’s not there…it’s actually there but complete. As if the possibility is fully present there and in its full presence and thereness, is fulfilled. So I thought, well of course in this state of universal, there’s no need for anything in the world because in the world you’re striving for what it is that I realized. But when I come back, when I learn to come back into the world and to immerse myself, more into the experiences of my human nature, and my personality and my interactions with people at the personal level and the physicality of doing this work and traveling, I can see how both these dimensions co-exist. The universal becoming the individual and the individual becoming the universal. That the very thing that’s in the process of expanding, that awakens us and inspires us and lifts us, is actually here right now and as a human being, we’re moving into a relationship with that as we expand ourselves out of what we know, expand ourselves out of the experiential dimensions that we already have experienced or are familiar with, out of our routines, out of our schedules…and we enter into this indescribable, compelling, sublime relationship with the world and the universe that is very difficult to language fully, though hints of it are everywhere. I was sharing with a woman how thrilling it was for me when I raced crew boats. It was an eight-person crew board where all the people have to row together in harmony. 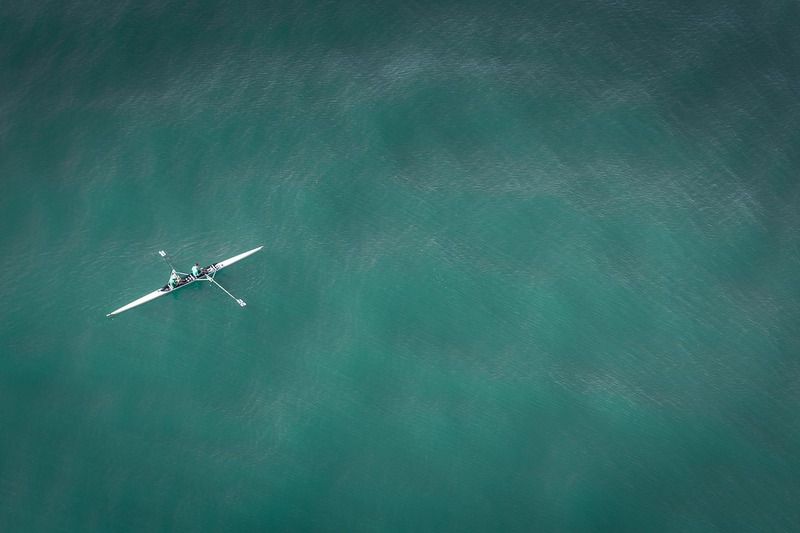 And I remember how sublime it was when we were all rowing in this perfect harmony, whizzing across the surface of the water. And I remembered how thrilling that was. And that’s because it was a hint of the same thing I’m talking about now. It was a becoming part of the oneness where my little piece had expanded to at least eight other pieces and something was happening in that common action we were taking together. We were obviously racing, competing together and it was this thrilling aligned action with others, fully engaged in the moment, without any past or future. Having a part to play but not fully responsible, not obligated, not really the doer of the action, not really caring about the outcome but just in the thrill of the synchronicity of the moment. And she was sharing with me how much she loved choir because there would be a point when all the people in the choir were hitting their notes perfectly and she was able to be part of that perfect synchronicity. And how thrilling, how uplifting, how sublime it is and it is! It’s actually a doorway…a glimmer…into our condition at the state of the universal. This sense of oneness and vastness, yet connectedness. It’s not alone in this vastness. It’s a connectedness, that everything is included in that oneness. It’s not isolated by itself alone. It’s an aloneness where everything is you or included in you. And it’s the essence of these moments. Human beings have been striving for this in their music, in their sports and in their activities, in their war, in their politics and in their government and in their building of cities and their making of cars on the assembly lines. It’s everywhere. We’re struggling to be more than what we are. To be part of something greater than ourselves. So how is this related to sitting silent and still in the Sat? I realized that there are three relationships to who we are. One relationship is to the reality that’s within ourselves. It’s very intimate. It’s very personal. And when we succeed in quieting our minds and our lives and being still long enough, we descend and enter into that quietude, that inner reality that we are. And its own fulfillment is to rest there. And if you rest there long enough you just want to continue to rest there. Then there’s another relationship with the universal which is that which is all about us; the aliveness, the color of the blue sky, the magnificence of the snow-covered mountains, nature and the beauty in other human beings, the order, the composition, the arrangement of life, the linkages.All of that outer becomes a delight. Although it may not be fully articulated as God or Truth, that there is this appreciation in the outer. Not as a means of fulfilling our needs or avoiding our fears but in it as it is. Again, both are moments of presence. Then there’s the third relationship is with that which is vaster than us. Above us. Above is the word I use but that might not be how it is for everyone. It is the singularity. It is the intense, dense reality, that when we link to it, it’s like a cord, a hot wire between it and our heart, ourselves. And there is this sense of connecting to something conscious and present and greater than ourselves. When all those three become available to us: within, without and above, something happens. It’s like an integration happens. It becomes real; that we are connecting to something larger than ourselves in such a way that all three points of view co-exist in the moment. To be both human and limited and defined by a body and the limit of the senses and the habit of the mind and at the same time be connected to the vastness that’s all about you and to that supreme quality which is above you, beyond you, all available….this is the fulfillment. This is the culmination and when you reach it, you know it. You need no assurance. No confirmation. Just like when you get the object of your desire and you revel in the object of your desire, be it a yellow Porsche or a perfect house or the perfect relationship. And you sometimes rest there just looking at it, appreciating the beauty and the exquisiteness…for as long as that lasts. That same energy, that same relationship exists, except it’s self renewing. It isn’t dependent on anything outside of yourself. It’s your very nature. So when we’re living our lives, our desires and our fears keep us either so distracted or so hedged in, that we don’t know how to live in relationship to the world where we’re standing on that edge of the sublime. To live on the edge of what has not yet happened or what we have not yet experienced or what we do not yet know, but somehow sense it. Somehow [we] are compelled, inspired, uplifted by that possibility, potentiality that has not yet manifested but you have enough of a sense of it that you’re connected to it and living in that possibility of what’s coming. So why can’t we live there always? Why does it have to be only in certain moments? This is there in relationship….oh boy! This is there in love, human love. Perhaps the foundation of infatuation is this possibility of being intimately connected to something other than yourself. How enchanting, how sublime, how intoxicating it is to sit in the presence of your newfound lover. To cherish it, to look at them while they’re sleeping. Everything is a delight as you sit there. In that relationship to the possibility that that person represents for you. The only trick is that it’s you who’s sensing the possibility. And that person simply became the opportunity for it. In the nature of Pakriti and the way the world works as long as we are expanding, expanding our knowledge, expanding our experience, expanding our knowability, expanding ourselves, whatever that may be for you, your capacity as an artist or a psychiatrist or a therapist or a gardener or a craftsman, or whatever it may be as long as you’re engaging yourself in this expansion your life feels meaningful. Your life seems to have a direction, a purpose. Because wittingly or unwittingly, you’re aligned with the intent of the creation: to manifest the next possibility, the next level of expansion, the next level of experience, of knowing, of oneness, of connection. When we don’t do that, when because of the habit of ego to protect us and to get what we want, to preserve the status quo, to go into a static, habitual relationship with the world…when we close down that relationship with the sublime, then we become miserable, then we suffer. And in this misery and suffering, since we don’t know what’s missing, since we are in a contracted state or a static state then we find fault with the world or God or with the people around us and forgot that we have the power to break out, to move on, to change. We have to wait for the circumstances of our life to bring those rare moments of the sublime or to bring those challenges or difficulties that force us out of our habitual or egoic-based ways of being. Ordeals. And these ordeals force us to change, force us to expand. We move into a negative relationship to the original intent, resisting it, obstructing it, complaining about it, denying it, obscuring it, lying about it. A normal child, a normal human being, will go incrementally through one thing after the other, being inspired to whatever is the next thing. Like inspired to move out of adolescence into family, into relationship. There will be an inspiration that will lift you to an awareness where this thing that’s expanding, arising in you, that’s driving you to expand your world, to expand who you are…this is Pakriti. This is rajas and satwa. It’s for action into spaciousness. Stepping into greater knowledge, greater experience. And the thing that I saw was that, in that verge, at that edge, when we’re at the edge of the possibility, we’re actually already connecting to its fulfillment. The possibility is actually becoming real for us. And in the correct action, then the possibility becomes part of our reality and it disappears as the possibility. It becomes our reality. And in the course of nature and in the course of Pakriti, then there’s another possibility beyond that one. And what do we do? Our consciousness becomes more expanded. We become aware of more people, more things, more options, more choices. So this, I would say, is perhaps as important on the spiritual path. This orientation, this attitude until which time that our ability to access the sublime of the next possibility becomes continuously available to us. Because when that becomes continually available to us, no other action is required. And it’s not like the getting of something, like the getting of a car or a house or a relationship. It is about being in the state, the condition of the sublime. To be in the condition, the state of the universal and in that state is this vastness, this oneness, this indescribable, compelling presence. Then there’s no outer action required. However, when you come back and you descend into your human relationship, back into your habitual pattern of your thinking and your feeling, which is still there…it’s still there in me…thinner, less gripping, less holding, but it’s still there…I can be in that condition or state without distress. I can be in the presence of a possibility without having doubt or confusion or fear and then take action from that place. So what there is is unlimited possibilities. Unlimited capacity to choose. This is what these talks are for me. Each time I do these talks, I do not know…sometimes I don’t know until we’re done and sitting in the silence….where this is going. And sometimes from my human orientation, I reach up for something larger than myself and I say, “Ok, you take over the show. You do it”. Of course it does it and then it’s me. So living in life in a relationship with all three. The divinity within, without and above allows for a divine life. To live in the universal and the individual at the same time. Yesterday, on whim I swung by my dentist to see if there was an appointment to clean my teeth and they told me June 12. Then he called me right after I came out of this morning’s samadhi, staggering about trying to figure out who I am and what I’m supposed to do next. And they said, “we have an opening!” So I gather myself to go in to sit in this dentist’s chair and these people are all about me, doing their stuff and I’m in my universal state, in my in individual state and this lovely woman ends up to be the one who’s cleaning my teeth. So I’m sitting there and she’s scraping away at my teeth and I enter into her throat and I just feel what it is there and by the end of her cleaning my teeth, her voice is much, much better. She doesn’t even notice it and I say, “How interesting. There’s a possibility.” So it’s a miraculous world. The miracle is, that which we can’t expect or that we can’t yet know. To live in the miracle, to live in the possibility. To live in the possibility is be in the presence of your universal self. Ah Sat Shree, I continue to think of you as my Guru and mentor, even though I will never meet you, most likely. I listen to your teachings over and over as I travel to babysit my grand daughter, I gave up drinking because of your presence in my life, and i am now working on meditation in earnest because of your influence. Although I live as far away from you as possible (New Zealand) it is as if I attended weekly meetings, I know your teachings so well. I once had the privilege of a Skype call with you, and I believe we share the same birthday, December 22nd. Born in 1948. Blessings.